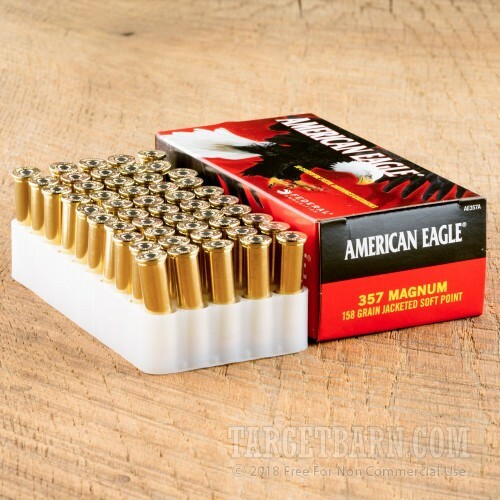 This 357 magnum ammo is a great choice for target practice, tactical drills, and self-defense. 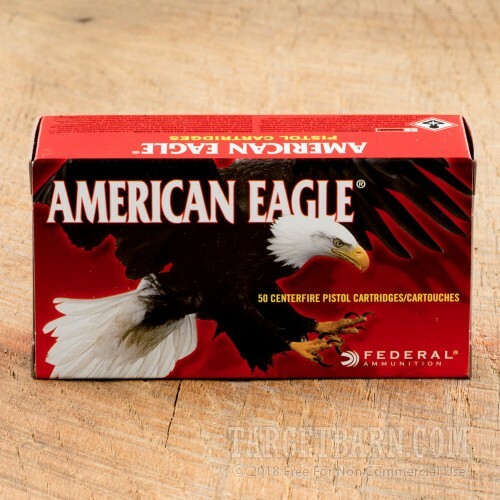 These Federal American Eagle 357 Magnum rounds offer ballistic qualities similar to Federal's Personal Defense Rounds at a price reasonable for casual plinking. 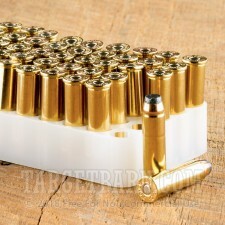 They are perfect for repetitive shooting drills at a price per round that won't too deeply penetrate your wallet. 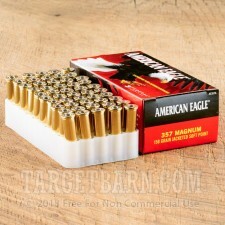 You get 1000 rounds of American Eagle 357 Magnum ammunition loaded with 158 grain jacketed soft point bullets. 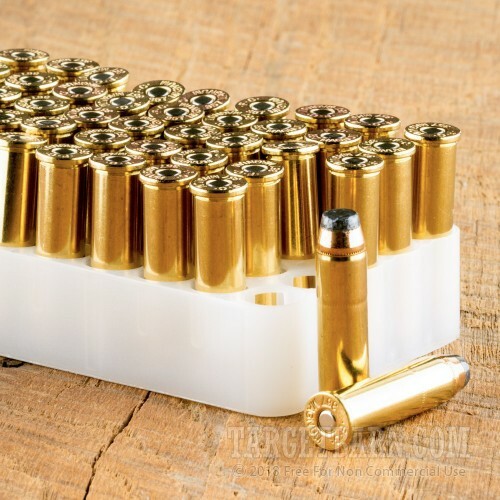 Each round features a re-loadable, corrosion-resistant, boxer primed, brass casing. The jacketed soft point (JSP) bullets provide maximum energy transfer with consistent and controlled expansion suitable for diverse applications. Manufactured in the United States, Federal American Eagle ammo is a high-quality round that that delivers accuracy and reliability round after round. With a muzzle velocity of 1240 feet per second and a muzzle energy of 539 foot pounds, these rounds offer a nice balance between expansion and penetration whether you need them for target practice or a safeguard against things that go bump in the night. Just want to try a single box of this ammo? No problem, we have single boxes of 50 rounds for sale too.